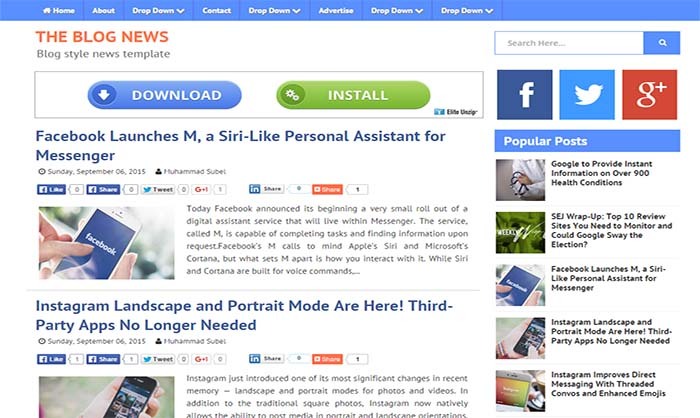 Blog News blogger template is another blog style news theme. If you’re running any blog style site then Blog News Template is perfect for you. it’s fully responsive, 100% SEO Optimized and Super fast loading blogger template. Blog News blogger template has some simple and awesome features, like share button on homepage, Responsive ad slots, Author bio box etc.